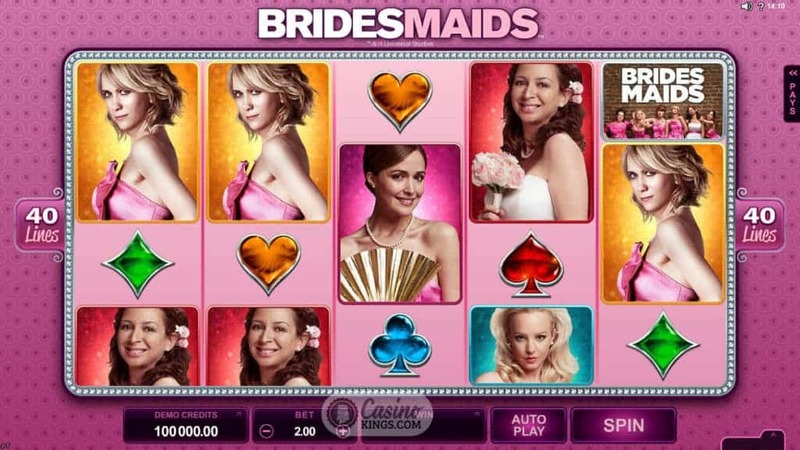 With the Bridesmaids Slot game Microgaming have entered with an impressive slate of movie-to-slot adaptations, Universal Pictures and gamers alike can be sure that this slots outing is in safe hands – unlike the plans for Lillian’s wedding! If ever there was a movie to earn the ultimate (and non-patronising usage) of the term ‘Chick Flick’, then Bridesmaids is that movie. Equally as hilarious as The Hangover and more intelligent with it, Annie’s tale of having the dubious honour of being named joint Maid Of Honour for her best friend’s wedding is ripe material for an uproarious online slot development. 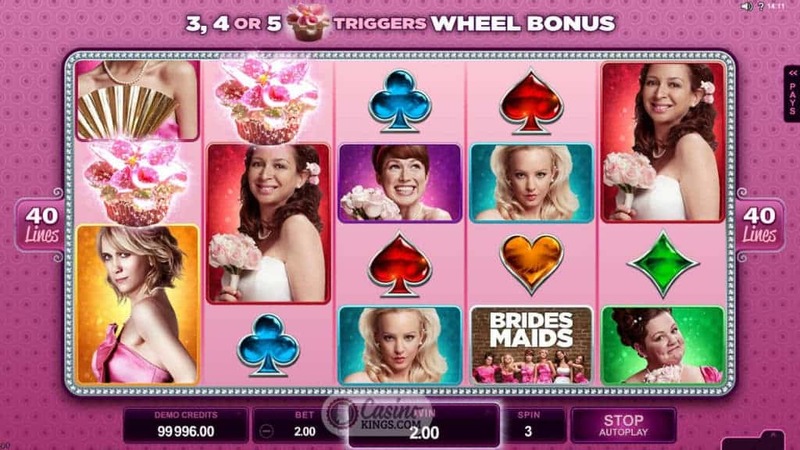 Like the styling for the movie, the Bridesmaids slot is pink. Very pink. The five reels are bedecked in the stuff like cookie ribbons at Lillian’s bridal shower. As we’d expect, the main characters are back in all their glory. Annie, Lillian, Helen, Megan, Rita and Becca are all looking as beautiful as ever in their bridal outfits – although we aren’t privy to how much time they’ve spent getting ready – and all of them spring into life in clips from the movie when we score a big win. 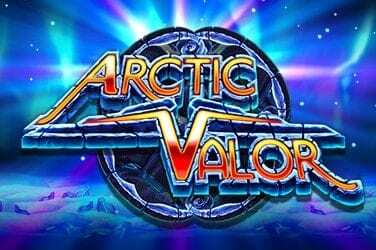 The Game Logo is our Wild symbol and a base game played across 40 paylines there is plenty of scope for decent base game winnings. Even the biggest non-fan of the movie will find plenty to get his gamer juices flowing. For the ladies who want to represent and the rest of us who thought that the movie was hilarious and are liberal with our gaming scope, Microgaming really have made the most of the gameplay in seemingly effortless style. 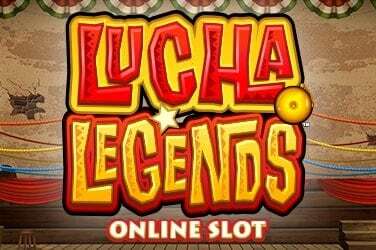 While each of the characters is on their own personal journey with hopes and dreams of their own, our hopes and dreams for this slot ultimately rest with the chance to score big winnings. That chance is opportunely realised when we land three or more Cupcake Scatters, leading us to pick a cupcake with a multiplier that transforms some of the multipliers in a prize wheel in which we could land a further multiplier, a jackpot or one of FOUR bonus features! Two of these bonus features – the Magic Moments Bonus and Boutique Bonus – are picking bonuses that maximise sound bytes and clips from the movie with various prizes and multipliers on offer. 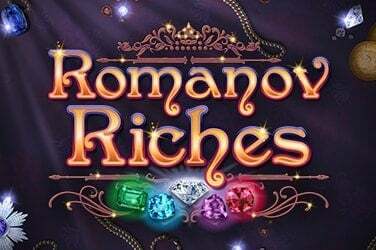 The other two – the Flying High Free Spins Bonus and Friendship Free Spins Bonus – are free spins features with a difference, using Microgaming’s Rolling Reels and Growing Wilds and Stacked High symbols respectively to boost playability and ramp-up totals potential. 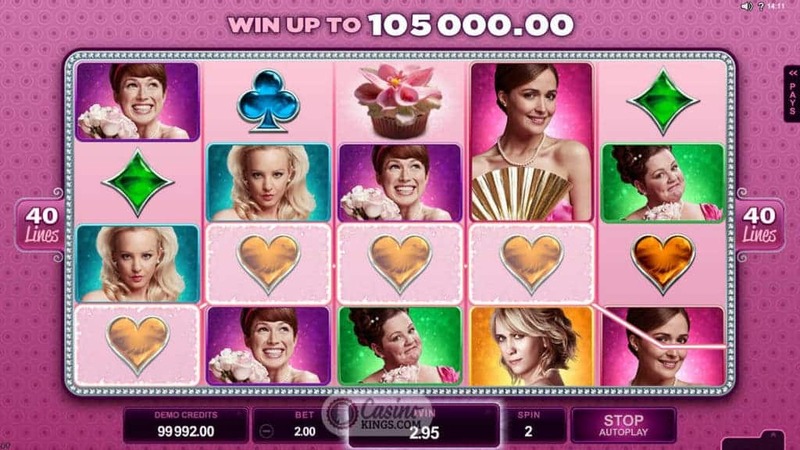 Like Bridesmaids the movie, Microgaming have come up with plenty for us to enjoy time after time in this slot outing. 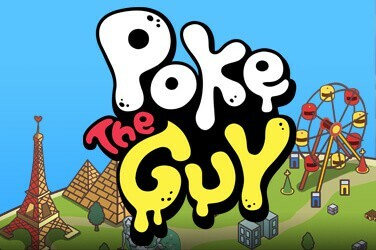 The gameplay is fresh and light, while the bonus games and multiplied multipliers not only make big wins a real possibility but also add drama and tension to the game, much like the friendships of Annie, Lillian and co.